Ozark Mountain AVA is one of the oldest and largest wine regions in the country. Our Members producets are as diverse as the Ozarks including; Wines from American and Hybrid grapes grown in Missouri, Fruit wines from Missouri produce, Mead (honey wine) from Missouri Beekeepers. You can escape the urban rush and relax and recharge in the Ozark Country side, from beautiful vistas of Table Rock Lake, the rolling hills to the serenity of cattle grazing in a pasture. 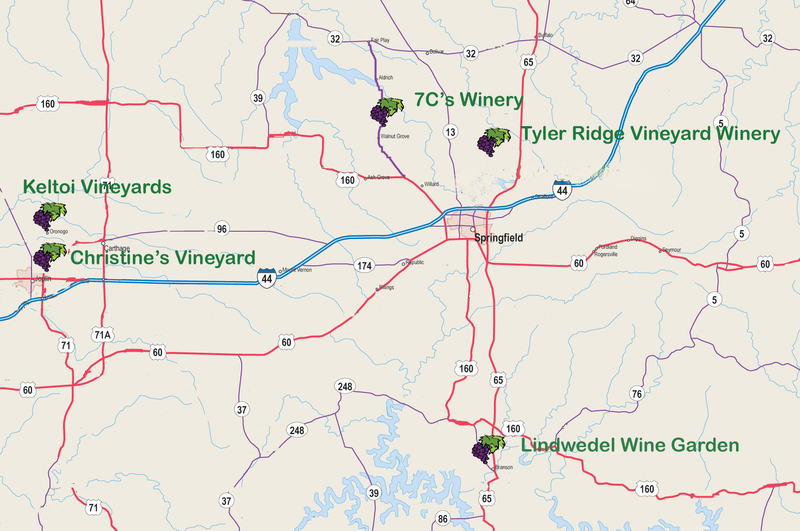 The Ozark Mountain Wine Trail has something for everybody and always with that good ole Ozark Country Hospitality.